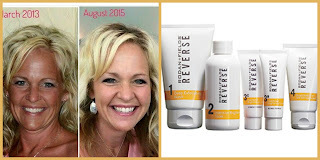 Today on my YouTube Channel I did a full review of the Rodan and Fields Reverse Skincare Regimen, I have been using it since November 5, 2015 and feel confident that I am starting to see some really positive results from it, so I thought I would not only include that video but also a little bit of information for you all here! For those of you who don’t know Doctor Katie Rodan and Doctor Kathy Fields created 2 skincare brands, the first you may have already heard of Proactiv, and the second is the Doctors “Legacy Brand”, Rodan and Fields. 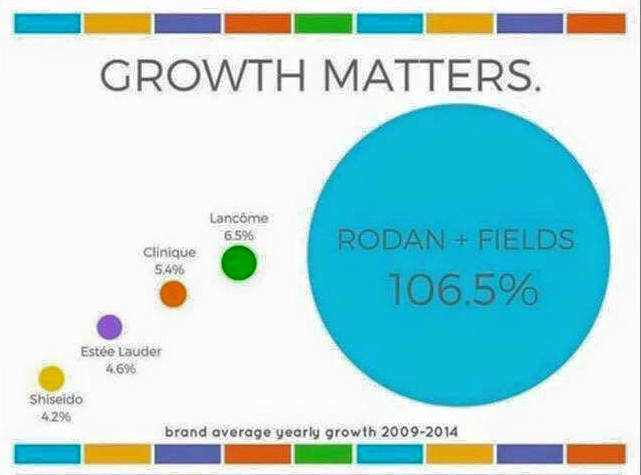 In the beginning Rodan and Fields could be found at the Estee Lauder counter in high end department stores, and just seven years ago entered into the direct selling social commerce market place. You may be asking why they decided to leave their high end counter, that’s because they found their product was actually selling via girlfriends chatting over coffee. And while they could have chosen to continue the traditional business route of a traditional skincare brand, they decided, why not share the wealth with all their loyal customers already sharing with friends, and that’s when Rodan and Fields, became the first number 1 selling retail brand to go to direct selling. For those of you who might be curious about the business side of the worlds fastest growing premium skincare company you can call the number below to hear a recorded call or even better message Joanne, she has been a Rodan and Fields consultant for 2 years, and has loved every minute of it, in fact she just returned home from a cruise to Cozumel, that she was rewarded with via her Rodan and Fields business. For those of you who would like to learn a bit about the products but may not be ready to jump into a whole new business, you’re in luck we have a few before and after pictures for you to go through, along with a little description of each regimen available. 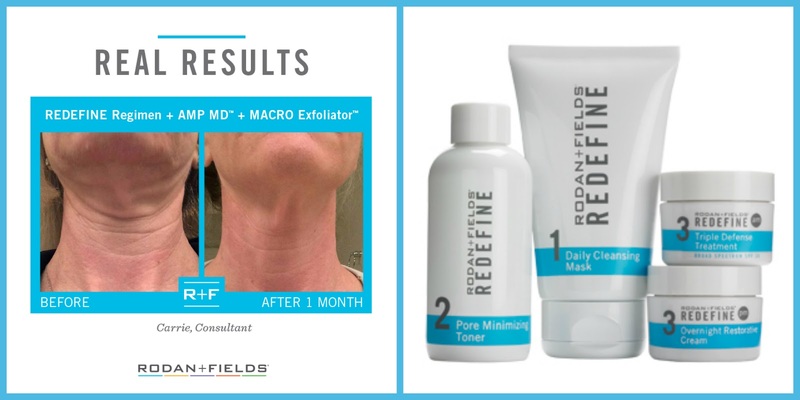 When you look at your skin if the first thing you notice is lines around your eyes or mouth, then the Redefine Regimen is going to be the kit for you. With this kit you get 1 Daily Cleansing Mask, 1 Pore Minimizing Toner, 1 Triple Defense Treatment SPF 30, and 1 Overnight Triple Restorative Cream. 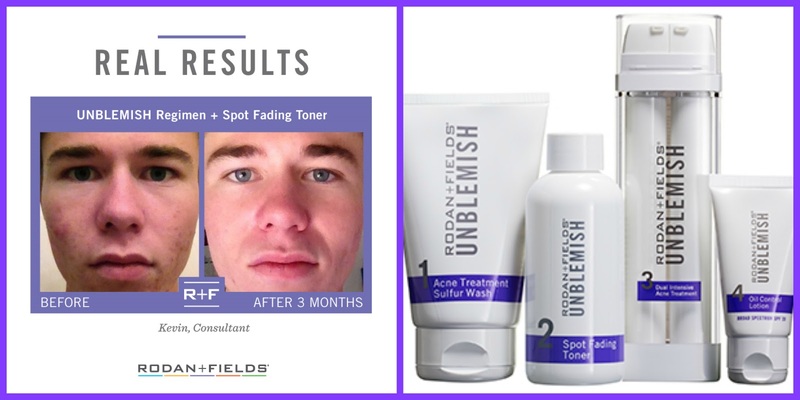 Considering the fact that Doctor Rodan and Doctor Fields got their start by creating Proactiv, it’s only fitting that they would have an acne treatment regimen in their laboratory of skincare greatness. 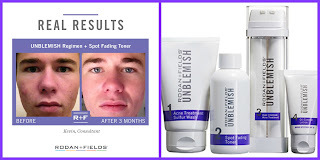 With the Unblemish Kit you will get 1 Acne Treatment Sulfur Wash, 1 Spot Fading Toner or 1 Clarifying Toner, a Dual Intensive Acne Treatment, and 1 Oil Control Lotion with SPF 20. Has your face ever been exposed to the sun, or walked in a crowded city? Well I’m sorry to break it to you, but you have environmental damage on that lovely face of yours. If you want to rid yourself of years of smog, sun damage, and aging you’ll want the Reverse kit. With this kit you get 1 Deep Exfoliating Wash, 1 Intensive Brightening Toner, a Dual Acting Complex, and Broad Spectrum SPF 50. Do you have dry or sensitive skin? Then Soothe is what you need to be reaching for, with your kit you will get 1 Gentle Cream Wash, 1 Sensitive Skin Treatment, 1 Moisture Replenishing Cream, and Mineral Sunscreen SPF 30. 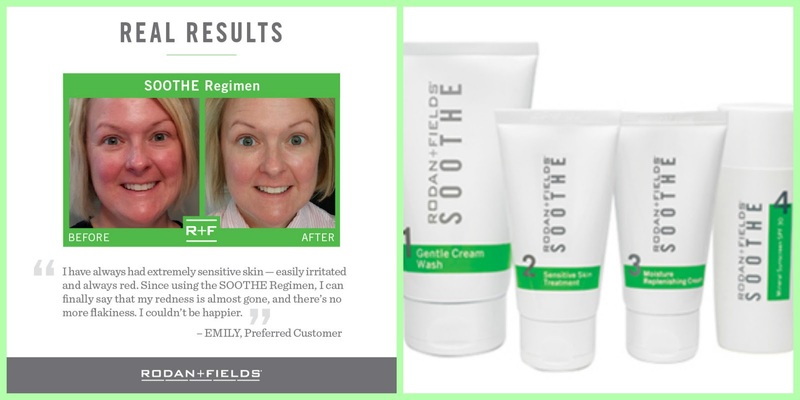 Rodan and Fields also offers a variety of other products like Eye Cream, Face Powder, Micro-Dermabrasion Paste, and a multitude of other products. If you’re ready to take the first step to healthier, younger looking skin it’s now time to reach out to Joanne, you can contact her through her Facebook page or her website. And if you you’re not 100% sure about the greatness of the the Rodan and Fields Skincare, then feel free to enter this giveaway that is being Sponsored by Joanne, this giveaway is for the skincare regimen of your choice, that’s either Soothe, Reverse, Unbelmish, or Redefine! Here is today’s Main Channel Video and Vlogmas Day 9!